Monday morning i visited a friends site, Tatiana (paper mache and zentangle artist) and the whole day stood under the spell of getting on with some doodles.Sunday evening i painted a few paper beads,just a few then a white rock from our seaside vacation was brought by my eldest son in front of my nose,desk.as a bit of paint remained on my brush i just spotted the rock and leaved up to Monday,when charged with good doodle karma i started to play with the pink dots. 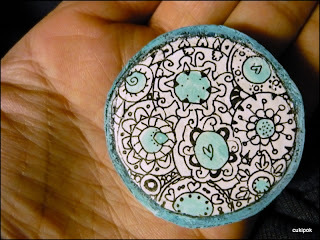 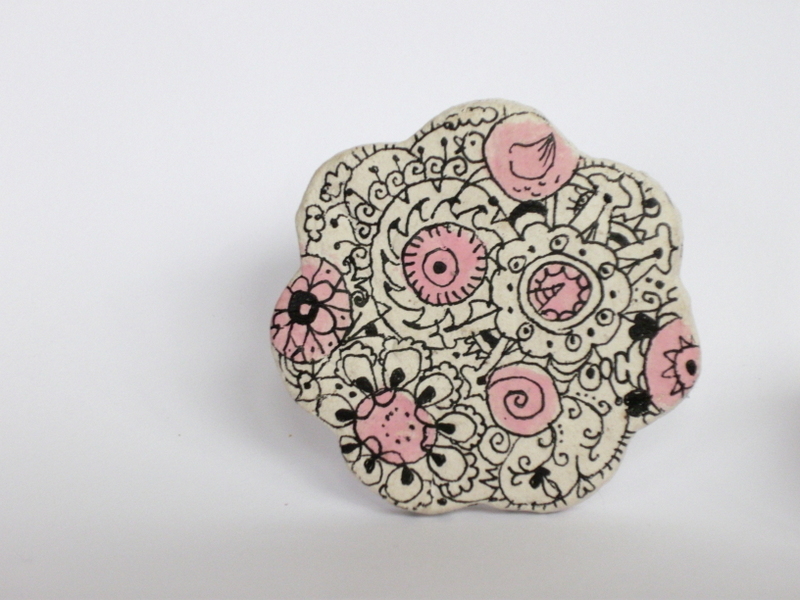 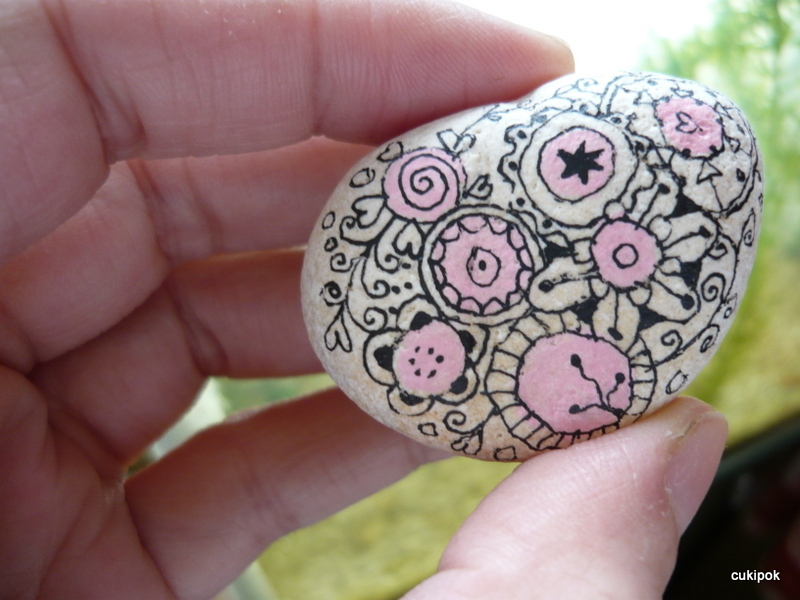 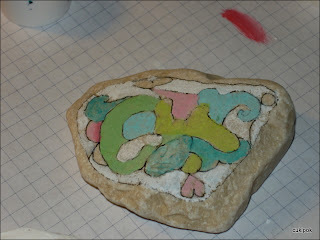 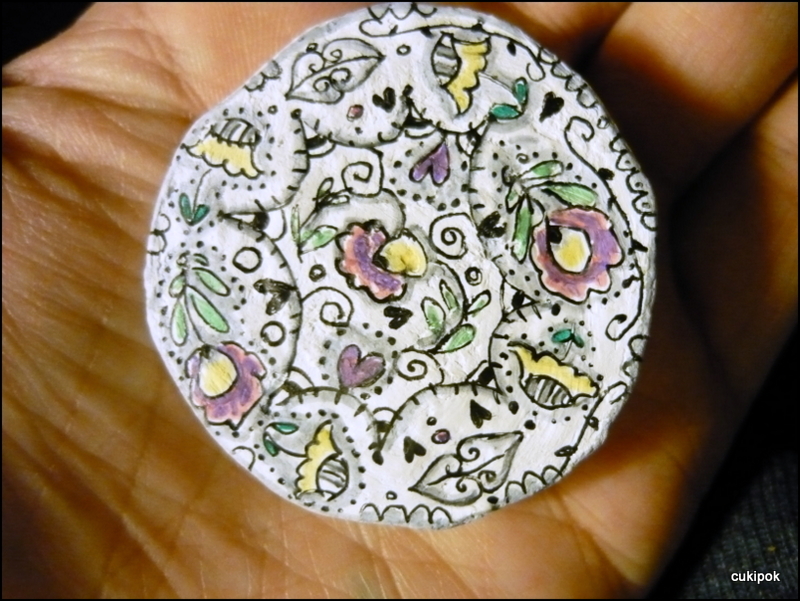 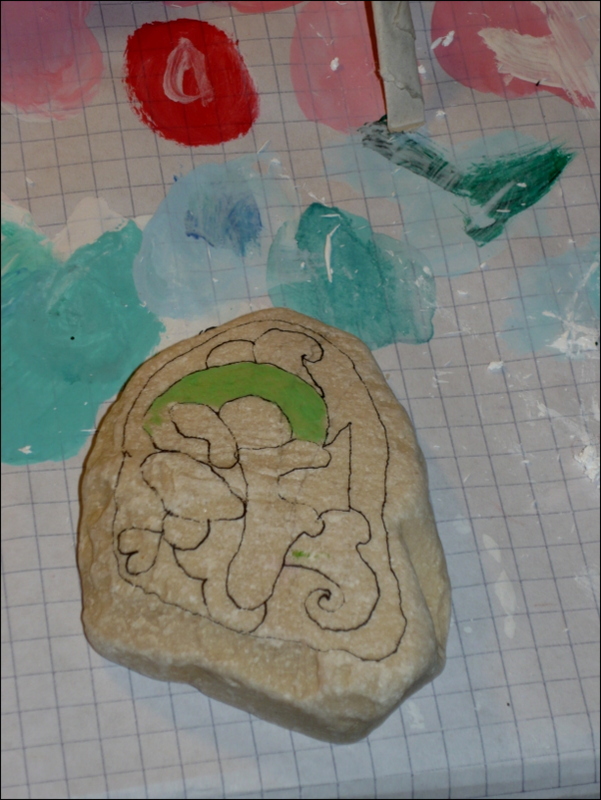 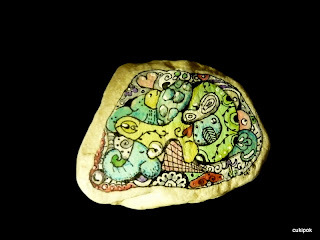 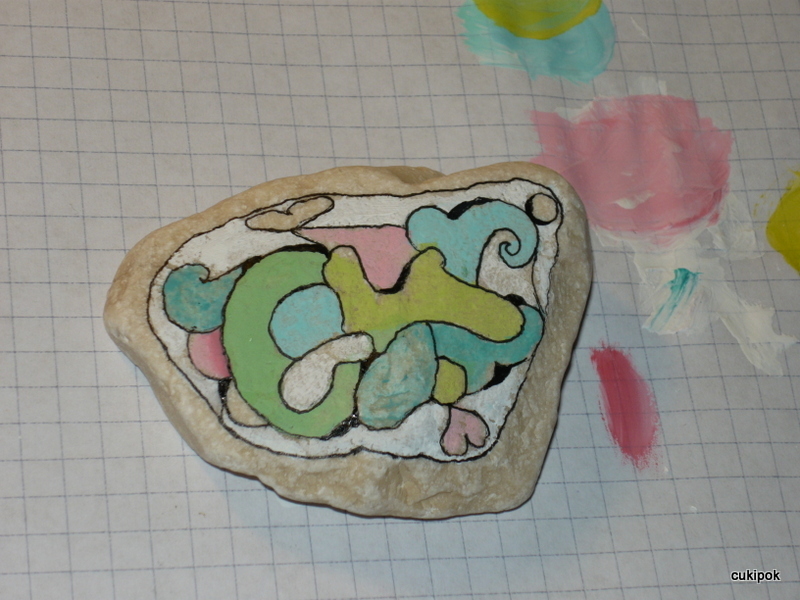 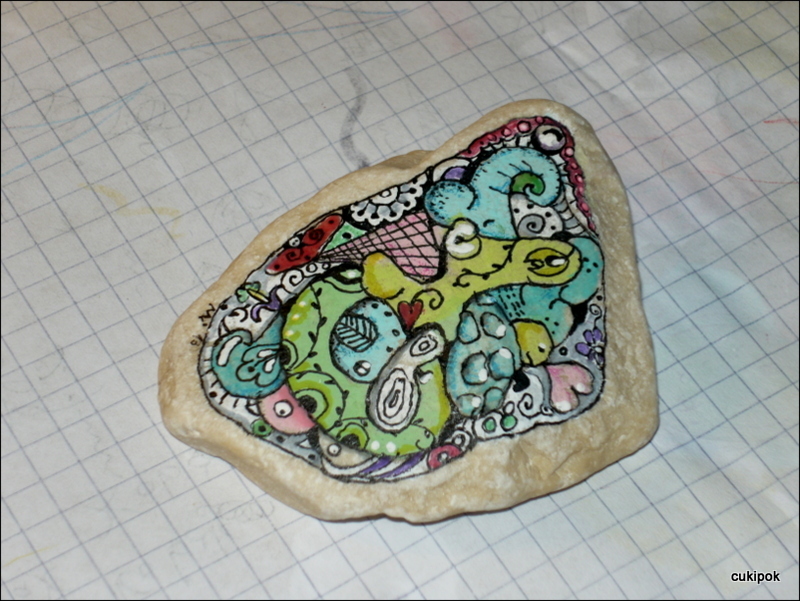 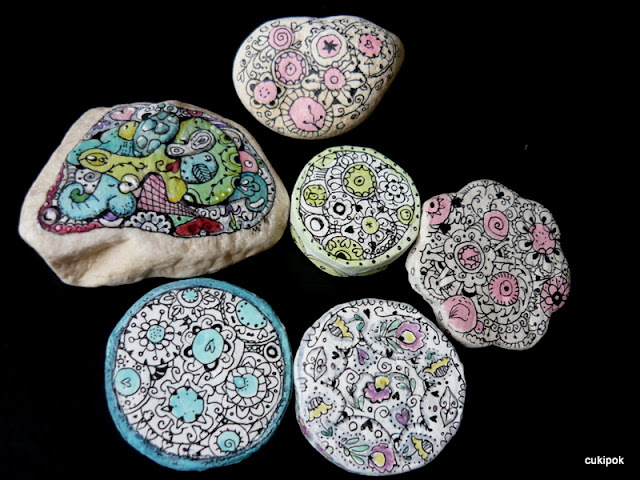 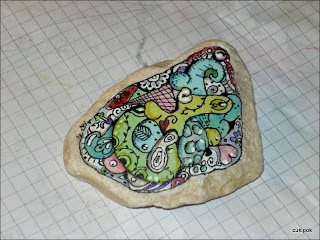 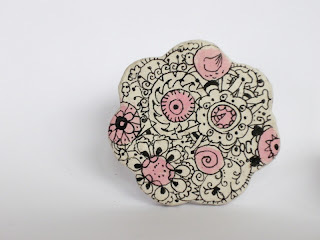 when it was ready i found an old piece of paper clay cookie form and continued the doodles.then a coiled and well sanded paper piece and other bits appeared from my magic box and here the results:painted rocks and doodle brooches,some of them will be available in my shop later. 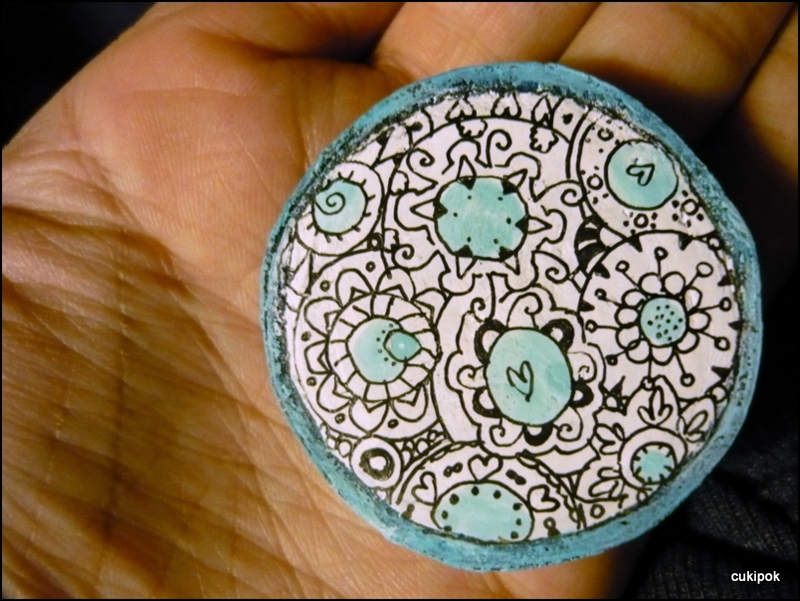 so еще раз спасибо Татьяна!